It was from the small city of Huaraz, in northern Peru, that I made a daytrip to the archaeological ruins of Chavin de Huantar. Maybe you read the story I wrote yesterday about the strange Chavin culture with the drug-fuelled religious leaders. Huaraz itself it not much of a city. No great sights to speak of, a dusty place with obvious poverty and streets I was warned not to walk down at night. Even in the centre, you feel like the slums are not too far away. Places to sleep and places to eat are few, although there are enough good options to cope. 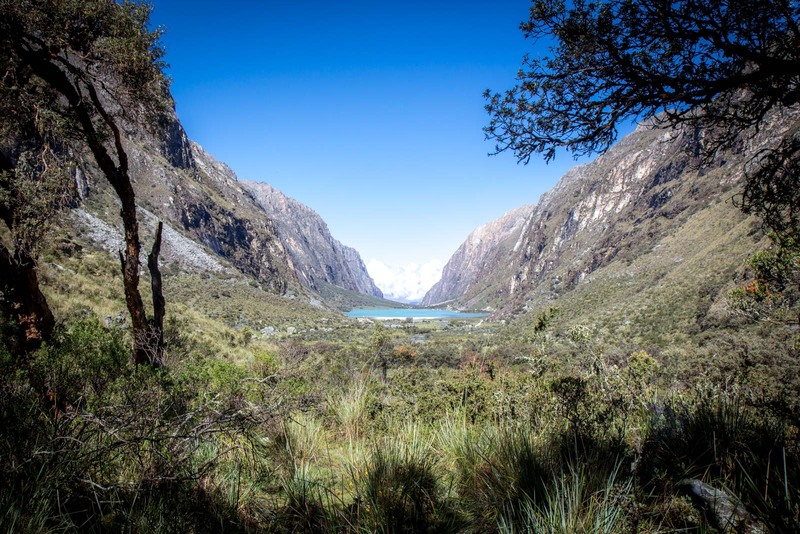 But Huaraz has more travellers here than you might expect for a city with not much to offer. That’s because it’s a base for the nature that surrounds it. 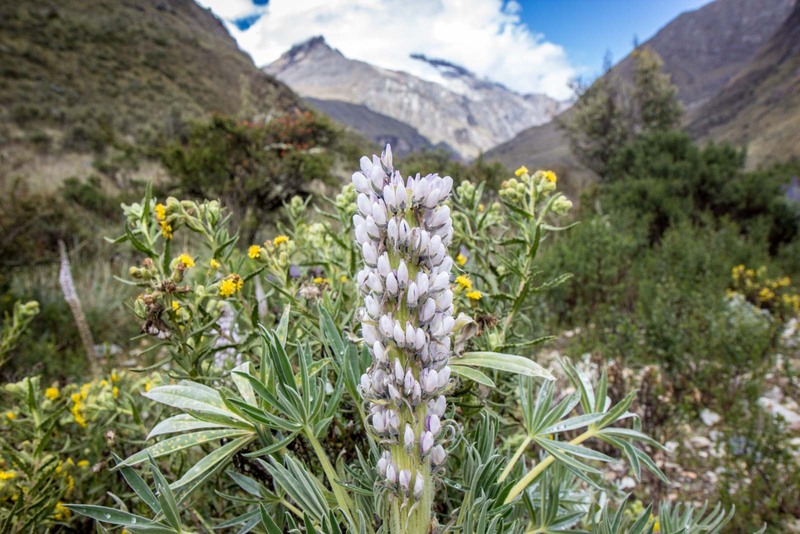 High in the Andean ranges, the beauty of this region is in easy reach. 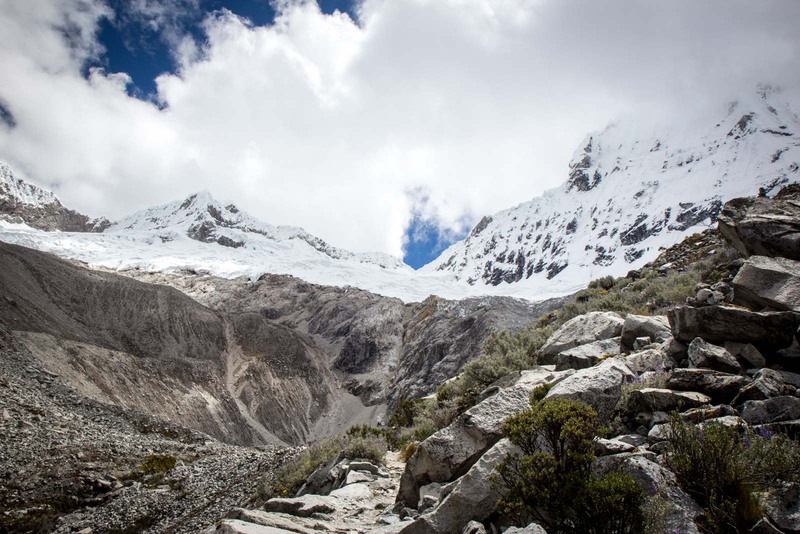 The highlight is the Huascaran National Park, an expansive region more than 340,000 hectares large. Many of those setting out for the park from Huaraz, backpacks filled with supplies, are heading there for hikes of several days. The number of foreigners in the supermarket buying canned goods and bottled water makes me think quite a few have that plan. I, however, have just a day up my sleeve and set out with a group for one the park’s most popular hikes – to a place called Laguna 69. It’s fair to say that I was underprepared. I really hadn’t done much research into this trek, just signed up for it because it seemed like something interesting to do. Most importantly, I didn’t understand the altitude that we would be going to. 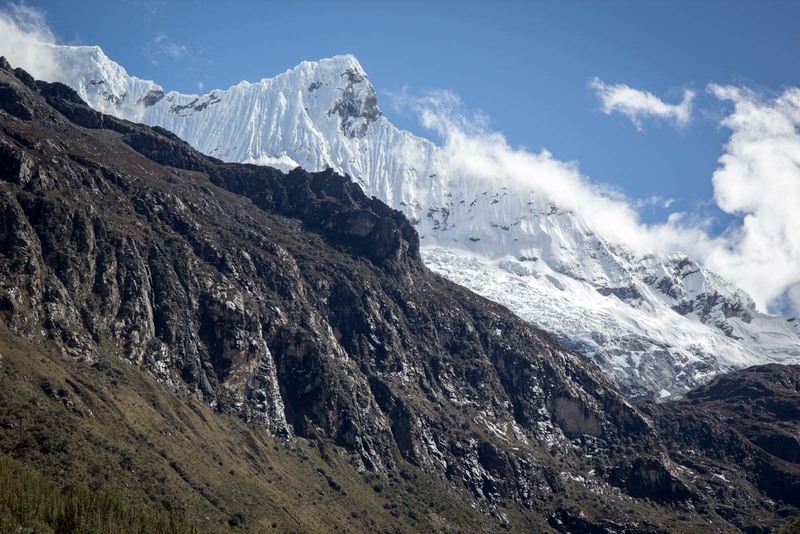 Huascaran Mountain, which the park is named after, is the fourth highest mountain outside of Asia at 6768 metres. I certainly had no intention to go that high but there’s no avoiding elevation in this park. 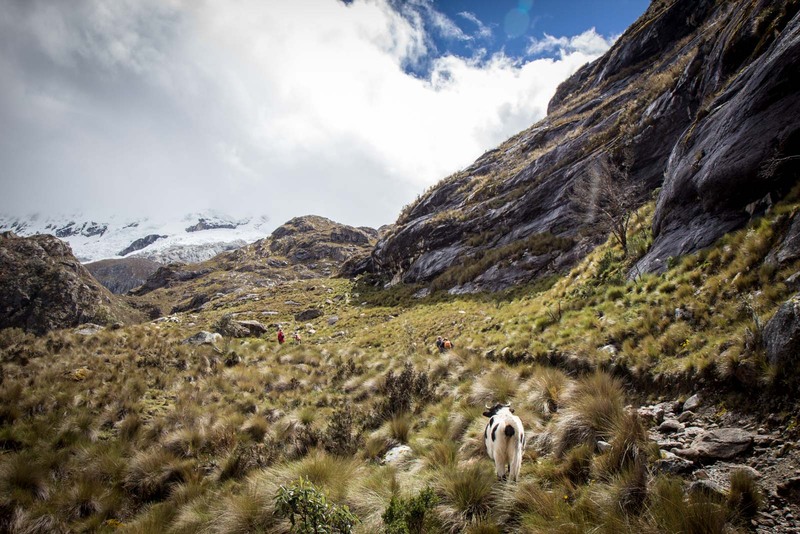 My trek takes me to about 4600 metres – a height I think I’ve only reached previously with a movie and an inflight meal. Breathing becomes difficult. It’s the uphill that is so hard. It’s a steep path I’m walking up, even with the bends back and forth to make it more manageable. Loose rocks slip under my shoes and my lungs feel like they want to burst. The first hour of the walk was fine – it was relatively flat and a bit lower down. The second hour was tough but I managed it. It’s this third hour that I am really struggling with. I walk for a minute and then stop for another. Walk for a minute then stop for another. I had heard about the effects of altitude but never experienced it like this before. As soon as I stop walking, I can breathe easily again. It’s not like when you have been for a long run and it takes you a while to recover. In this case, the trekking uphill is so difficult but only while I’m doing it. I breathe fine as soon as I stop. But it is, without a doubt, worth it. 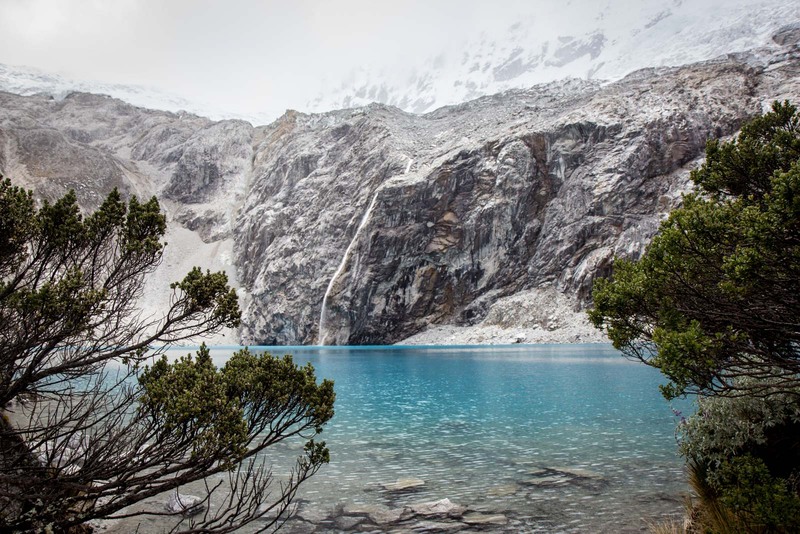 The final stop of my trek in Huarscaran National Park is at Laguna 69 and is, well, in a different way to the walk to it, breathtaking. The water is so clear with the most vibrant blue colour that seems to glow. Glaciers run down into it and mountain peaks peer over to get a glimpse themselves. In fact, the whole walk has been quite spectacular. As I’ve moved up in elevation, the landscapes have slowly changed. The views out over the valleys have come and gone and been replaced with vistas across a whole land. What I really want to do with this post is share some more of my photos, rather than take your time with words. So let me stop here and show you, rather than tell you. These photos are in ascending order by altitude, so you’ll hopefully be able to see some of the gradual changes I’ve referred to. Beautiful! 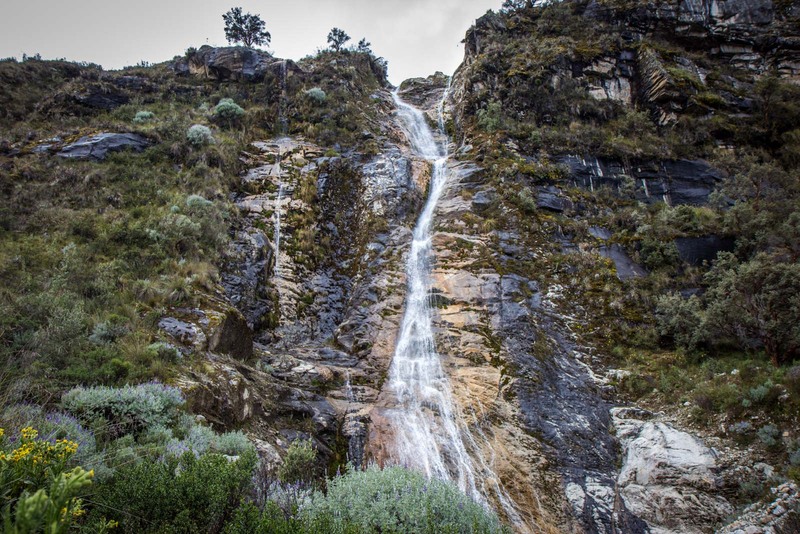 I’d never heard of this place before and it seems somewhat remote and not the typical place that people visit while in Peru. I absolutely love the color of the water, and every view is something spectacular. Would love to visit here someday – and a UNESCO site, too! Isn’t the colour of the water just amazing! I couldn’t believe it when I first saw it. I thought maybe my light-headedness was affecting my sight! Beautiful pictures! Sounds a little intimidating about being able to breathe when you go up so high, but it seems totally worth it like you say. 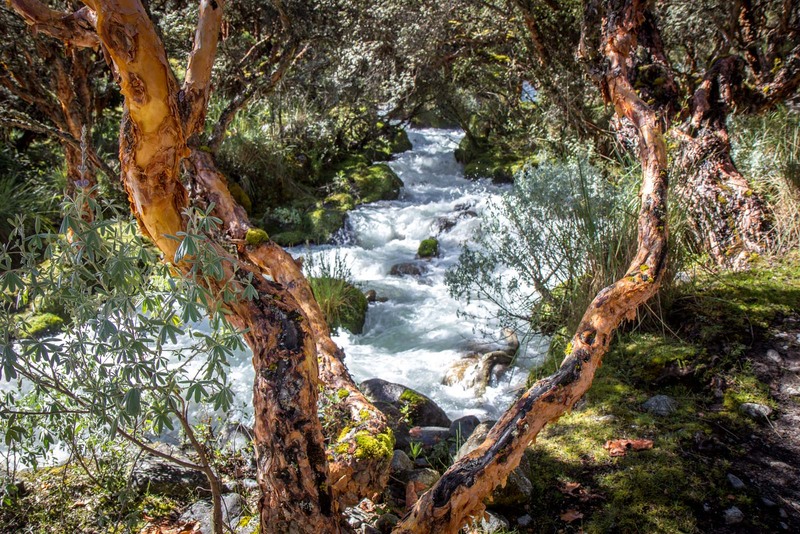 Peru has beauty I never thought of. Honestly, I’ve never had trouble breathing like that before. My heart was pumping so hard just from little stretches of walks that I was quite worried at one point. But then I realised it’s just normal at that altitude so I took it slowly and really enjoyed the scenery. I feel like the photos don’t do the beauty justice – it was so stunning! This looks beautiful Mr Turtle! You really weren’t exaggerating when you told me about it in Arequipa. 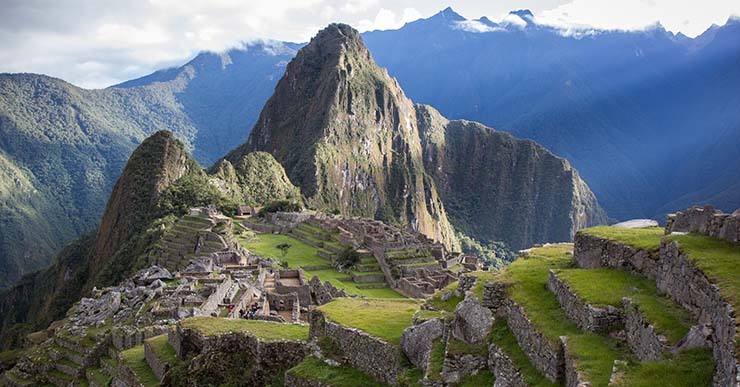 Will definitely go there while I am in Peru. Oh, you have to get up there at some point. It’s not close at all the Arequipa, unfortunately, but it was one of the most beautiful parts of the country I visited and it was nice to have so few people as well. Amazing photos. Will definitely make sure I get here one day! Oh, Megan, you would absolutely love Peru! You’ve got to put it high up the list for the next big adventure!! Wow. Extremely gorgeous. 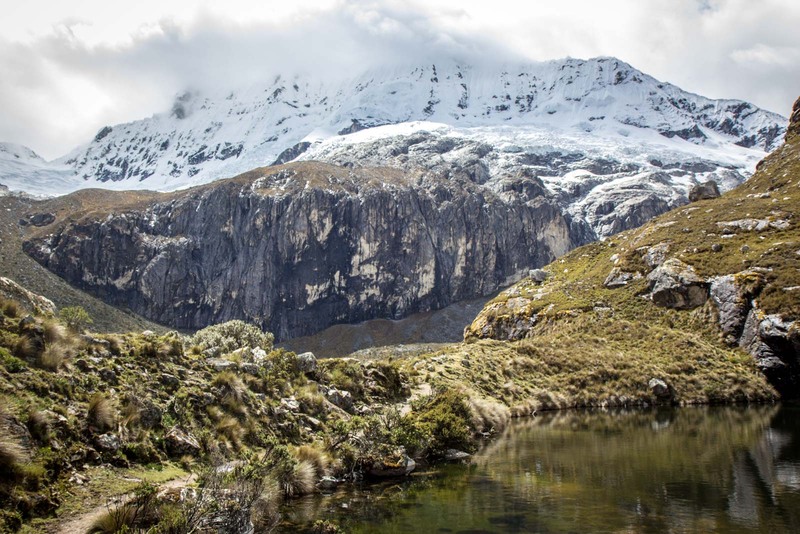 I bet i’ll have a tougher time managing that trek than you – smokers lungs, weeee – but it would definitely be worth the struggle to see all of that in person. That shot with the lake, man, I just wanna be there, sit and take it all in until they tell me I have to leave! It was definitely hard to leave that lake… especially after the climb up! There was also nobody ‘guiding’ us so I had to decide myself when to start back. If I hadn’t been worried about missing the bus, I probably would have stayed there for hours. A bit too cold to swim, though! 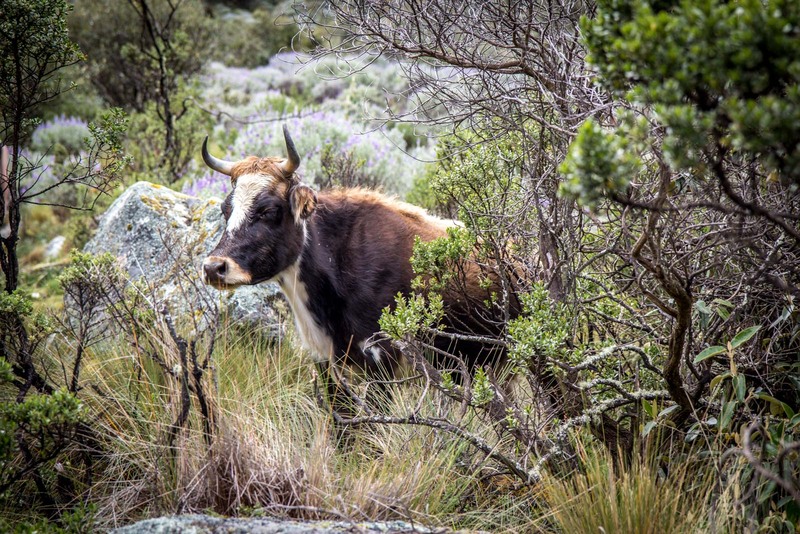 Beautiful photos Michael, you really capture the stunning beauty of that trek perfectly. 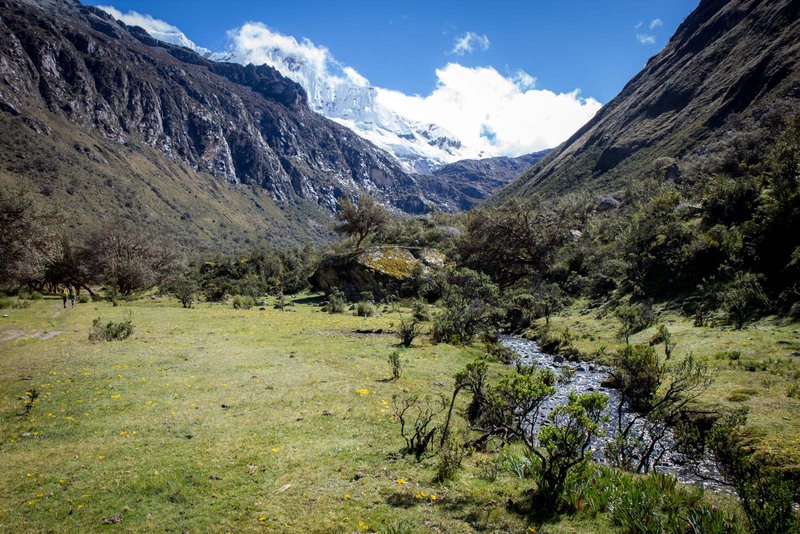 It was my introduction to Andean trekking and I totally fell in love with it. I am slightly surprised about your decription of Huaraz though – I know it’s poor and dusty, and not the most attractive to look at, but the thing that surprised me over the three times I stayed there was that it was probably the friendliest town I visited in South America – I had far more conversations with locals there than most places, people would often just stop and ask me questions, and I thought the for a small town the selection of food and drink places was great. 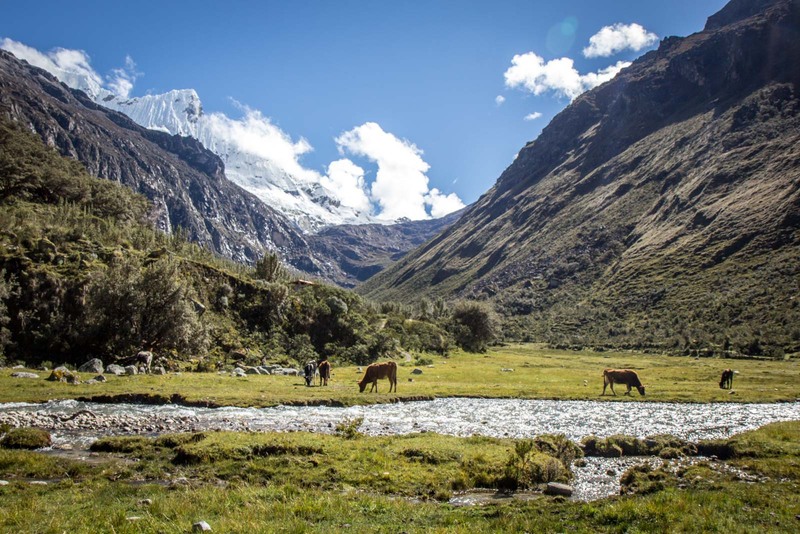 And with its glorious setting with the Cordillera Blanca in the background (I fell in love with the stunning sunsets over the mountains), it’s a place I’d happily return to again and again. I’m actually pleased to hear you say that because it makes me think maybe I missed something – or maybe it’s just one of those places that you like or you don’t. I’ll definitely agree with you about the surroundings – the mountains are just gorgeous and that’s really nice. But I still didn’t think the town really had anything going for it. I found a couple of nice places to eat, for instance, but I didn’t feel like there were lots of other options. And I didn’t notice any extra friendliness than other places that size. So, I didn’t ‘hate’ it, I just was rather underwhelmed. But good to know you found a better side to it! Over the years I’ve been reading your posts and enjoying your pictures you’ve been to some special places and showed us some incredible sights, but this is truly something else. I’m stuck in a wonderlust state. Wow – I’m impressed to hear that you’re impressed! You’ve seen some pretty amazing things yourself in your travels. I have to agree with you, though – this really was something else. I don’t think I’d seen such dramatic scenery since I was last in South America, in Patagonia. Wow! Those pictures are stunning! I love seeing the changes while going to a different elevation. Great shots! You really notice the changes, don’t you. I didn’t so much when I was doing the walk because it’s more gradual, but I saw it straight away when I looked back at the photos. I took these photos with my old Canon 600D. The lens was a Canon 17-55 (fstop 2.8), which I found was pretty good for all purpose photography. 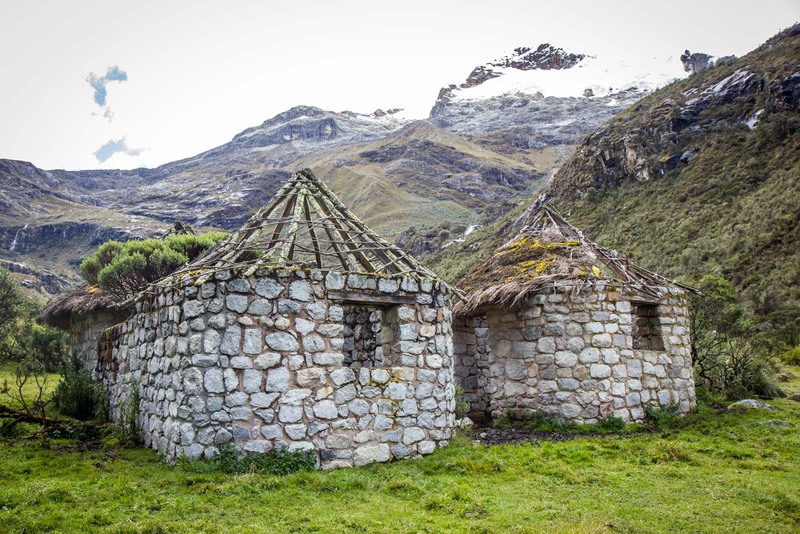 I hear that un Huaraz there are not nice place to sleep, is not true. Of course if you want to page 5 dólar and get room like 5 stars hotel never will find it.s Some travelers are abusive with peruvian citizen. Do you know that un Huaraz the lunch is just 2 dolar ( entre, soup, main course, drink and dessert,all this is call ” Menú” just for 2 dólar) and probably Some people say is not good the lunch. What? I hace been un canberra Australia mate, and the cheaper place for sleep is 90 dolar un guest house and a cup of coffee is 3 dólar so. If you try to get the same service only page tha same price. Hotel un Huaraz 90 to 150 dólar: hotel colomba, hotel el tumi, hotel siesta Serena, Hostal andino, hotel la joya. 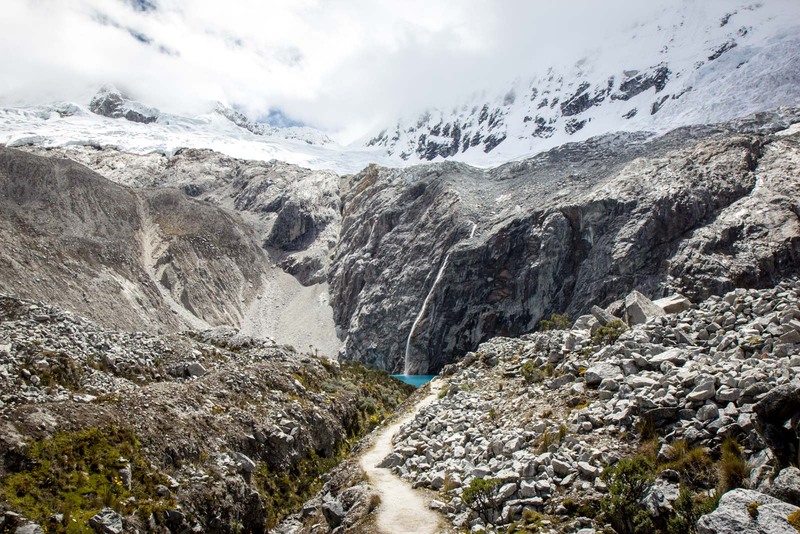 So feel huppy that you page 13 dólar for getting your amazing pictures and maybe you was unhappy to page 1.5 dólar to get inside to Huascaran Nacional Park. Dont abuse to the peruvian people. Thanks. Hi there. I’m not sure if you left this comment on the right page? I don’t recall writing anything where I complained about the prices of anything in Huaraz. In fact, I agree with you, I had some great ‘menus’ that were cheap, tasty and filling. There’s certainly no abuse towards the Peruvian people in this story. Your photos are so beautiful! 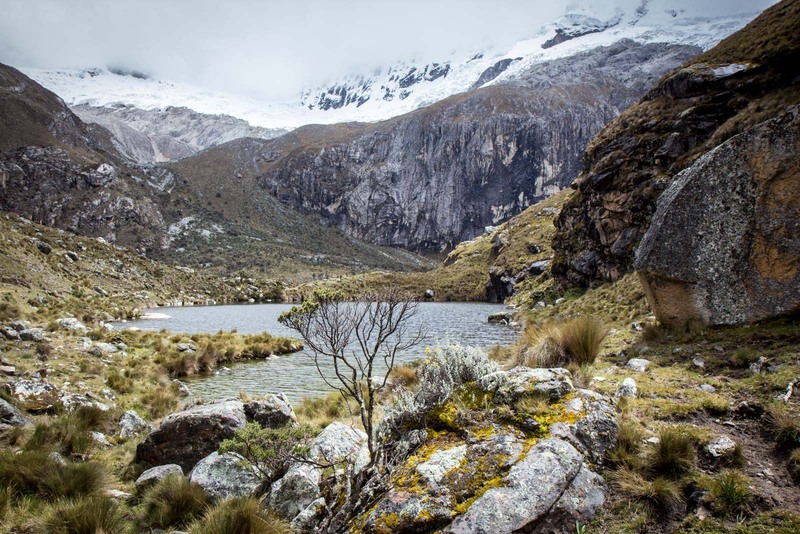 We’re currently in Huaraz and I’ve been struggling to adjust to the altitude, but my husband is going to do Laguna 69 tomorrow. I’m excited for him! Thanks for sharing your beautiful photos!